Mobile phone base stations and their radioactive emissions have been accused of causing leukaemia, brain tumours and a syndrome known as electromagnetic hypersensitivity (EH). 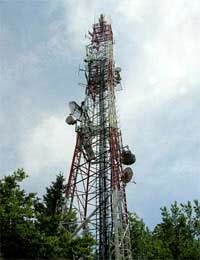 Those people that live in close proximity to one of the UK’s over 50,000 mobile phone masts have attributed all manner of health problems to the local antenna including heart palpitations, headaches, nose bleeds, itchy burning skins and severe depression. Some researchers believe approximately 4% of the population suffers from EH, which makes them particularly susceptible to electromagnetic fields such as those emitted by mobile phone masts, and can lead to symptoms like headaches, fatigue and skin ailments. However, others say there is no evidence for this and that such claims can be attributed to the condition whereby people develop very real biological effects if they believe something will do them harm. Ultimately such research – where participants are subject to radiation for very brief periods - cannot be conclusive because there might be long-term health risks as a result of exposure that have yet to come to light because of the relatively recent use of mobile phone. What are Mobile Phone Masts? To understand the role of mobile phone masts play in aiding your mobile communication, it is helpful to imagine the UK landscape divided up into thousands of interlinked cells. Together these form the mobile network. Each cell is represented by a central base station, or mobile phone mast. If a mobile user makes a call whilst positioned in one particular cell then the signal will be transmitted to its base station where it will be redirected across the network for distribution by a cell base station where the receives is situated. A base station is therefore an integral component of mobile communication. Even if you are using your mobile to call someone across the road, your voice signal will not just pass from phone to phone but first be directed to the mobile mast for redistribution. The UK mobile phone network is made up of around 51,000 mobile phone masts, each of which comprise of microwave antenna and transmission dish. Two thirds are integrated into the design of existing structures whilst the remaining third are mounted on high structures, such as a pole or tower. Public fear regarding mobile phone masts is exacerbated because of a general ignorance about them. For instance, one popular myth sees the whole structure as being alive with radioactivity beaming out harmful radiation in all directions. The only part of a mobile phone mast to emit any kind of radioactive signal is the antennae on top and this doesn’t ‘blow’ radiation onto us below, but beams its RF waves out into the air. Nevertheless to actually expose yourself to a considered harmful dose of radiation, you would have to almost touching the antenna. The radiation dramatically and rapidly decreases as you move away from it – 10 metres away, the level is 0.1% of that from 1 metre away, and is 0.0125% at 20 metres.